I have been compensated for this post in exchange for my honest review. However, all opinions expressed here are 100% my own. I only promote what I truly love! It was bright and early on a Saturday morning, and the fog was just beginning to lift as the sun started to peak over the horizon. 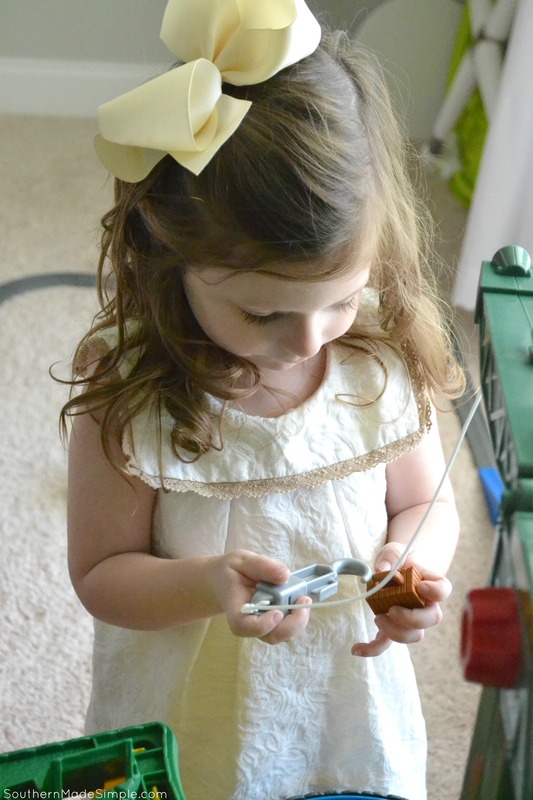 Tuckerville’s tiniest train conductor was just beginning to emerge from her sleep to get ready for a long day of endless playtime – a job that is well suited for a child with a beautifully wild imagination just like hers. She lets out a yawn, wipes the sleepy out of her eyes and runs down the hallway to my bedroom to claim her spot between her daddy and I. She nestles into the covers and wiggles her little toes against ours as she gently reminds us that the sun is awake, and therefore everyone in the house should be awake, too. I make an attempt to go over our plans for the morning, and give a brief synopsis of the breakfast options I’m willing to make before things really start rolling for the day, but the wheels in her tiny head have long been turning, and she has already punched the clock at her beloved Thomas & Friends Super Station and is ready to report for playtime duty! Many of her playmates have already arrived at the station, including her beloved Thomas the Train and a few of his longtime buddies. She greets each engine with a sweet little grin as she ques them up and reroutes the track for each engine’s particular duties for the day. 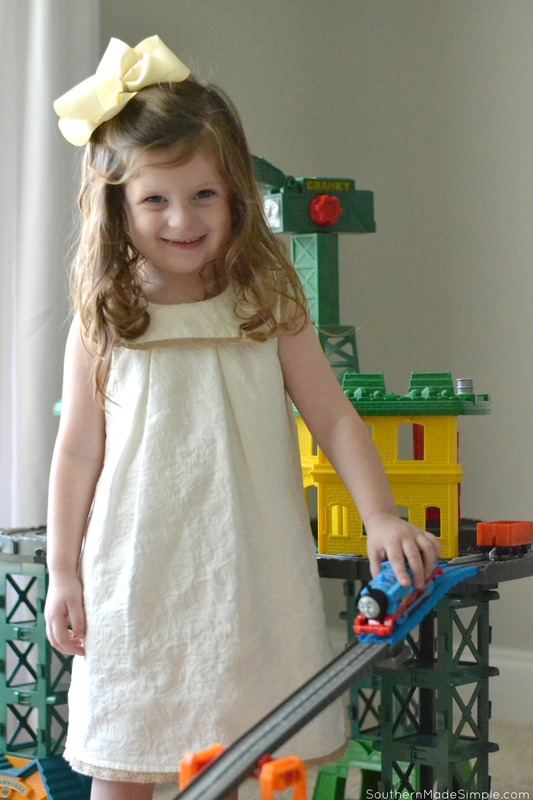 With over 35 feet of track to watch over, she takes her job as Tuckerville’s tiniest train conductor very seriously, and makes sure each engine makes its way down the track without any confusion or delay! 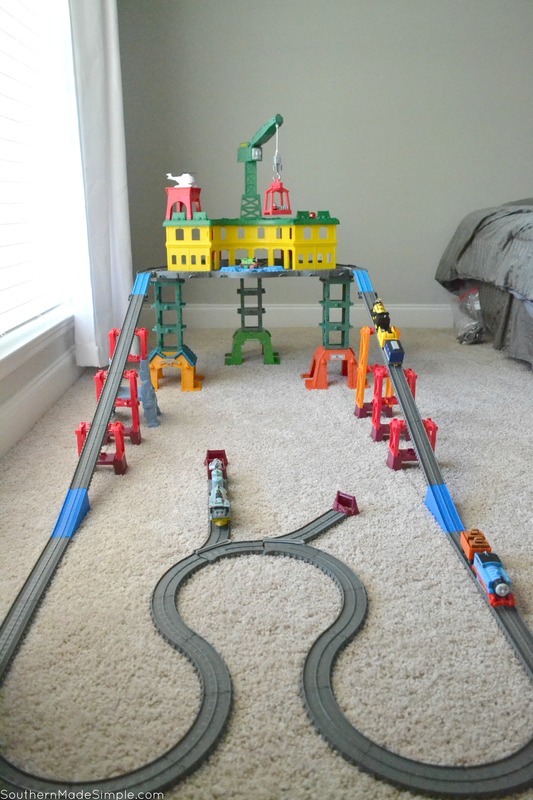 A few days before, Tuckerville’s biggest conductor (aka Dad) put his imagination and engineering skills to work as he laid down the track in a playful configuration that would ensure all trains arrive safely and swiftly at their destinations. The Thomas and Friends Super Station has 3 levels of play and multiple configuration options to allow it to fit in any space, while also giving you the freedom to piece the track together in nearly any direction your imagination takes you. 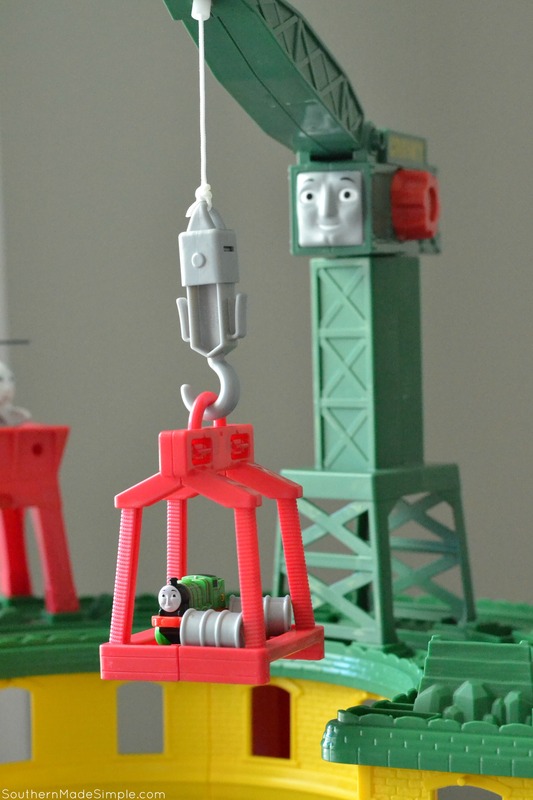 Before the engines began their course, Tuckerville’s tiniest conductor visited Cranky the Crane to help him carefully load all of the imported cargo onto each engine’s cart. Percy rounded the corner at the station to receive the first batch of goods to take to the neighboring community – a job he looks forward to every morning and afternoon! 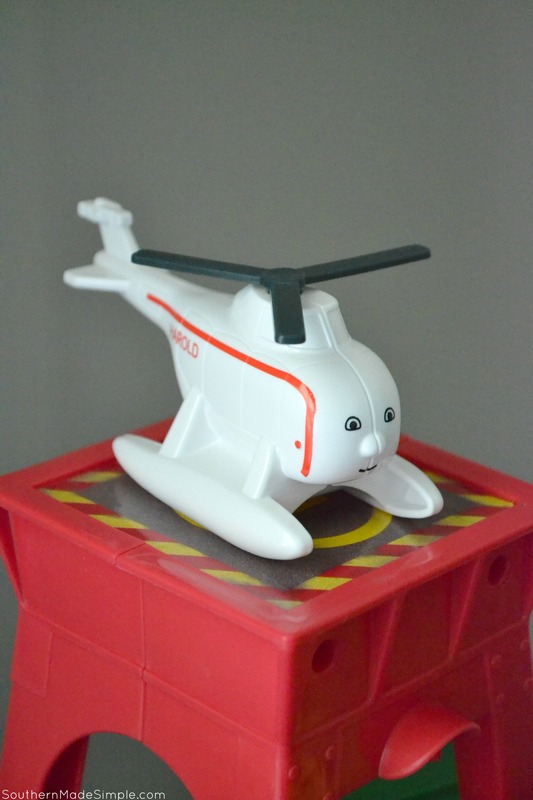 Cranky is always faithful to help carry any load that needs to be quickly moved from one portion of the track to another without any fuss. Sometimes the track can get a little busy as more as more engines make an appearance, and because the Thomas & Friends Super Station will hold over 100 engines and works with all Thomas trains no matter the scale, a helping hand is always needed! Though the day has just begun at Tuckerville Train Station, the amount of joy and childlike wonder that has already filled the tiny conductor’s spirit has set the tone for this Saturday to be the best day she has ever had with some of the best playtime buddies she has ever met – and the day is still so very young. What fun it is to wake up each morning and report for duty at the Thomas & Friends Super Station, where a day full of work means a day full of play! With the holidays quickly approaching, the Thomas & Friends Super Station (available at Walmart) is a perfect gift to give to a tiny conductor in training. 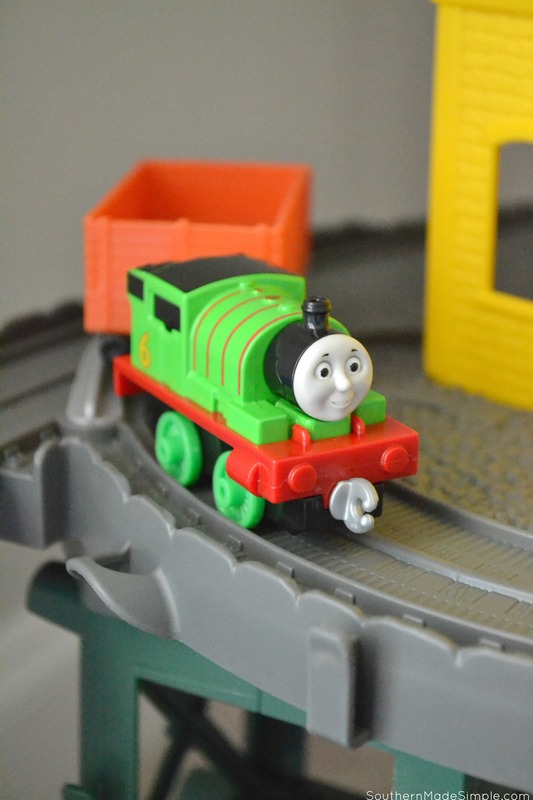 The track includes adapters that can connect to other Thomas & Friends play sets, and because this particular play set will work with any Thomas engine, there is no guesswork when picking out additional Thomas toys to pair with this station. Talk about a total win! 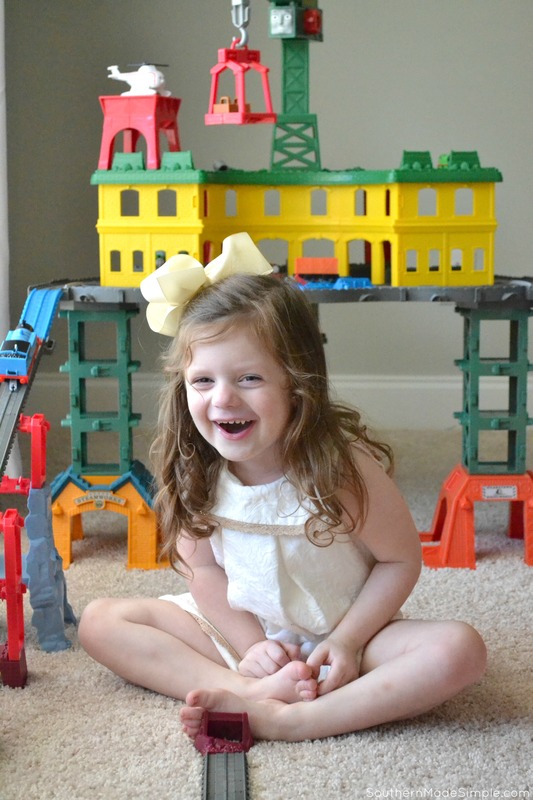 Tuckerville’s tiniest train conductor enjoys hours upon hours of fun-filled imaginative play with this set, and watching her report for her daily duties and hearing her sweet giggles as the trains roll down the track has brought so much joy to my own heart. When I was a child, I enjoyed reporting for duty alongside Thomas the Train myself, and seeing him bring my own little one so much happiness sets my soul on fire. 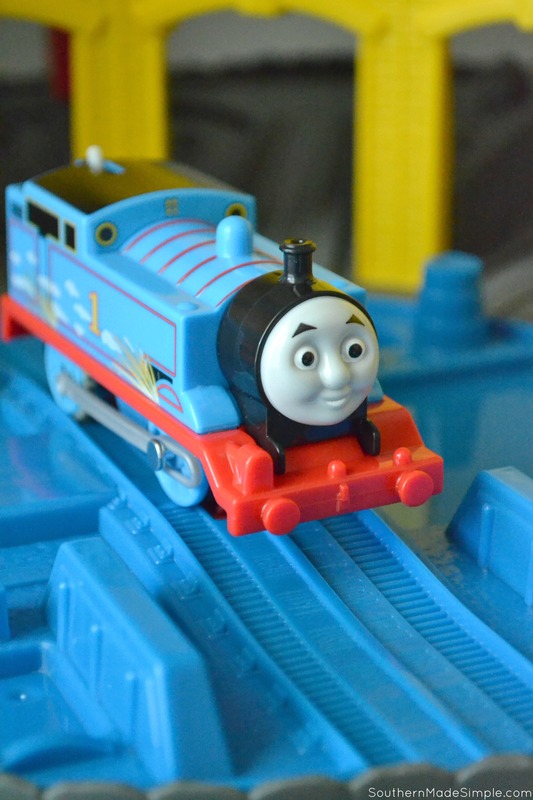 The Thomas & Friends Super Station is a true treasure for us, and any child that encounters it is sure to feel the same!